In this installment, we take a look at a pedal that gets a fair bit of attention from the experimental music crowd: the Rainbow Machine from Ohio’s Earthquaker Devices. I was always intrigued by the Rainbow Machine, as despite reading many different descriptions, I was never quite sure what it actually did – partly because the secondary function is named ‘Magic’, which is a cool name, but not all that informative. Let’s take a closer gander at this mysterious device. The Rainbow Machine stays true to the Earthquaker Devices aesthetic, with a strong single colour contrasting nicely with white accents. 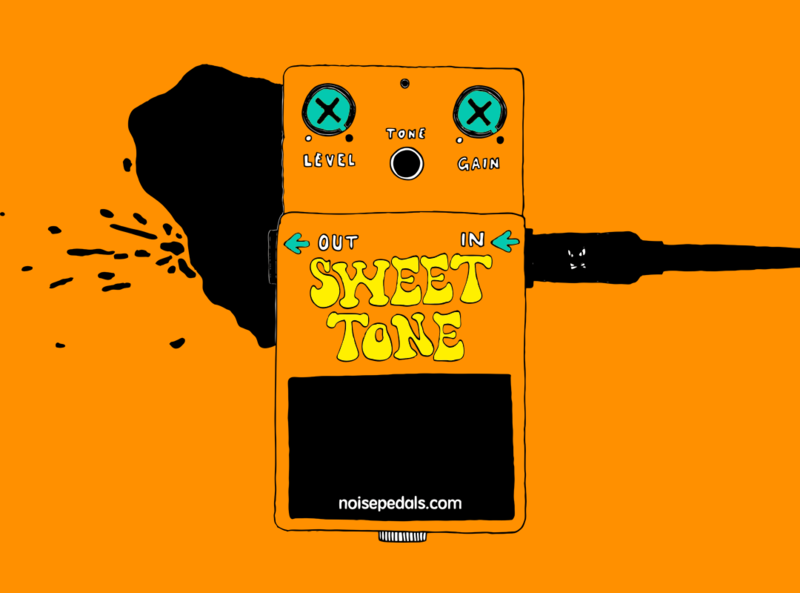 The font and ripple design fits nicely with the whimsical nature of the pedal, reminding me of something Willy Wonka might come up with if he was into boutique effects. The LEDs are a nice clean white colour, which feels refreshing, but they are seriously bright. They aren’t frosted down (at least not in the model we’ve got), so if you are looking down at them directly they can be pretty blinding – something that’s evident in our demo video. There would be no danger of not realising the effect was engaged while playing live, let’s put it that way. 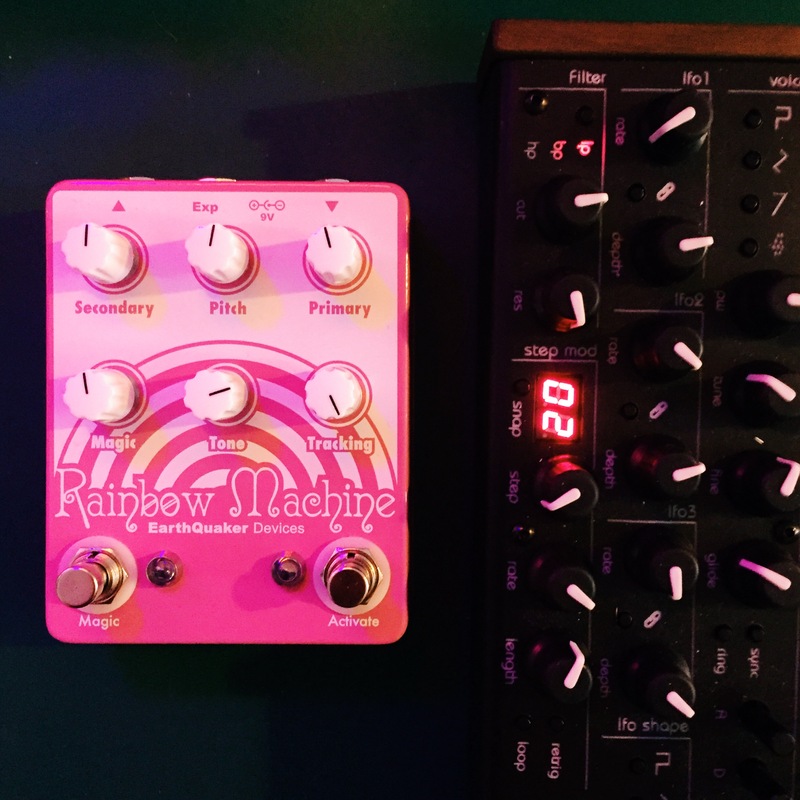 The Rainbow Machine bringing some colour to its synth pals. I had the fear that this pedal might fall into the trap that other slightly unusual pitch-shifter style devices often fall into, where a cool sound is produced, but it’s always just the same sound overlaid on top of your existing signal – irrespective of what instrument you use. I like boxes that have a specific sound, but when you’re shelling out top dollah for a boutique effect, you really want them to have some dynamism. Luckily, the Rainbow Machine isn’t guilty of that. The digitally controlled pitch shifting stays true to the input, and doesn’t club you over the head with an obviously generated effect. Instead, it sounds a lot more like a reverb than a pitch shifter, which I like a lot. If you turn the tracking knob right down, it also can act as something of an echo – which is really cool. The only one thing I’d like to see changed with the Rainbow Machine is a greater range of shift available with the main Pitch knob, which would make it a lot more musically dynamic. More details on that in the below section. 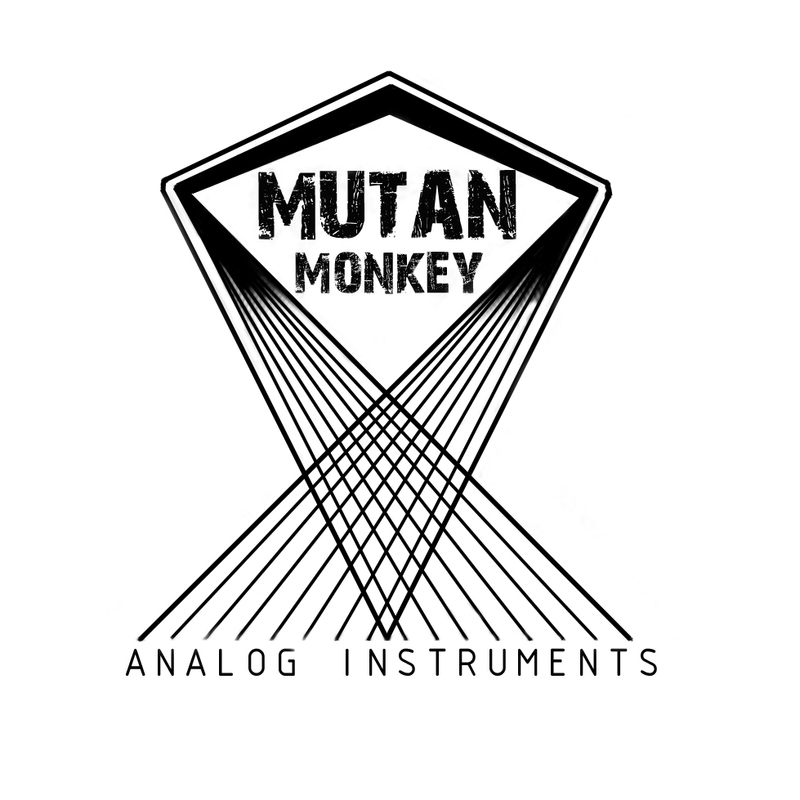 Check out the demo video below, which shows the Rainbow Machine off with a TherapSID synth, Nord 2/Volca Kick drum combo, Game Boy running LSDJ, and Bolsa Bass from Critter & Guitari. Pitch – Pretty self explanatory. This controls the pitch of the shifted notes, which can also be controlled by an expression pedal… always a nice thing. Middle position brings unity, and it goes down by a 4th, and up by a 3rd. The only criticism I have is that this range seems a bit limited, in that it doesn’t go a whole octave up or down, and so finding a workable harmony other than 12 o’clock can be pretty challenging. It’s possible I’m just not being creative enough though! Primary – The volume of the main pitch-shifted signal, which can also act as a bit of a boost compared to the input signal when dialled up. The pitch knob controls this signal directly. Secondary – Volume of the secondary pitch-shifted signal, which also has the boost. Going above or below unity with this pedal changes the pitch in relation to the Primary shifted signal – up (and down) to an octave. Tracking – This knob controls the ‘delay’ time. Turning the knob counter clockwise (which seems kind of counter-intuitive) gives a greater length of time before the wet signal kicks in. Tone – No explanation needed. Magic – The mysterious core of the effect, which kicks in when you have either of the Primary/Secondary knobs turned above zero, and the second footswitch engaged. While difficult to describe, this function has a variety of sounds depending on how the other knobs are set. The most common one seems to me like a kind of waterfall – with drops of sound jumping off of the main tone or like a trail of stars from a wizard’s wand. Cranked all the way up, you can get swells of interestingness, which almost seems like a kind of self-oscillation. Usual pedal power situation here, with no built-in battery operation possible. 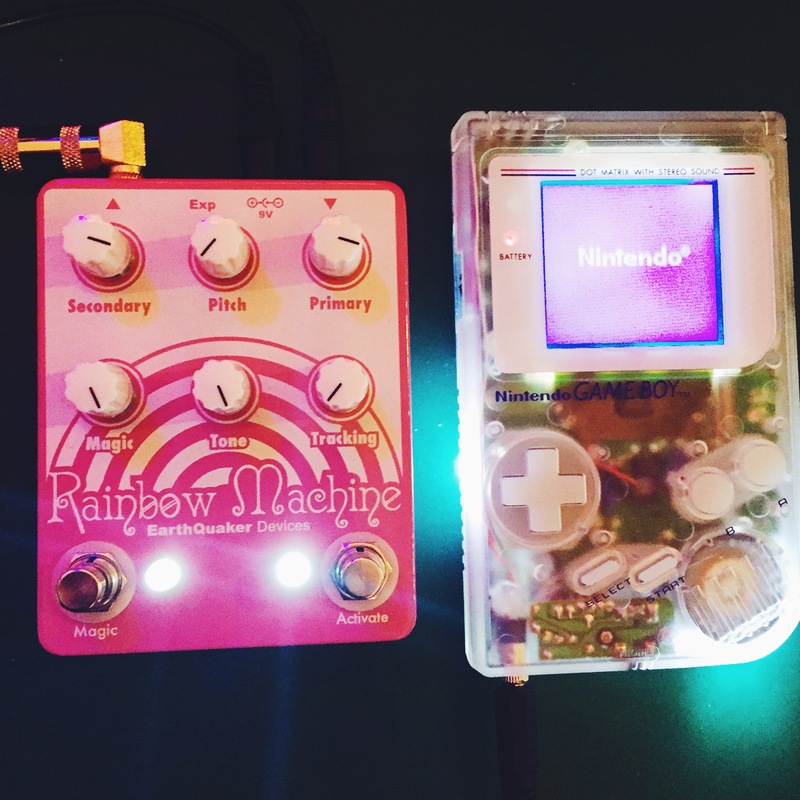 Out of all of the Earthquaker Devices pedals I’ve tried, the Rainbow Machine is by far my favourite. Despite having a strong character of its own, it doesn’t rely on the same exact sound profile with whatever instrument you use it with, which means it’s a much more versatile effect as a result. The reverb style pitch-shifting is something that is particularly suited for lead electronic lines to give them some more body, and that means it’s probably going to become a mainstay in my own studio.